This series of events features local wine, cider, beer & spirits. Plus: Maryland artisans, farmers, music, food, and more! Currently held in both Centreville and North Beach, DrinkMaryland has an open air farmers market feel, welcoming people of all ages to celebrate Maryland makers! Browse local products, handmade crafts and enjoy live music and delicious food– all while learning about the local craft beverage industries of Maryland. General Event Policies Please review this page prior to attending an MDG event. You agree to comply with our policies and festival manual upon RSVP to our events. Average attendance This event has garnered an attendance of between 800-1500 attendees. Volunteer information Each Distillery is afforded 5 [five] volunteer passes for use by legitimate staff and volunteers only. They will be checked-in at the front gate. Please bring your volunteer list to the front gate when you arrive Saturday morning. License/Permit Off-Site Event Permit – MGD is applying for a Non-Profit Distillery Festival Permit for the festival. Wineries will attend under the state-issued Off-Site Permit. MDG must notify the Comptroller of their planned attendance by the 20th of the month prior via the protocols listed here. *PLEASE READ CAREFULLY* The certificate must indicate that you have general and liquor liability (General = $1mil per occurrence). Rentals Each distillery attending brings their own 10×10 pop up, tables, and linens. 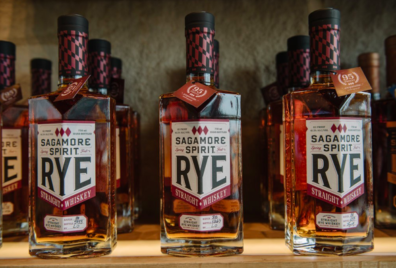 Premium Pours Distilleries can sell bottles to go. Please bring your point of sales systems. Setup style Pop-up tents scattered around venue. Wineries must provide their own pop-up tent, tables, linens. Site map and layout All distilleries will be in 10×10 spaces, volunteers will be on hand to place wineries when they arrive Saturday morning. Layout will be available the week before the event. Ice Ice is available on-site for a fee. Water Water is available on-site via a hose. Please bring water coolers/buckets – enough to replace them as they are being refilled. Promotion Sample social media post: Join us for the 2nd year of this premier local craft beverage event that will feature local wine, beer & spirits. DrinkMaryland is on the North Beach Boardwalk which creates a unique, fun atmosphere for people of all ages to celebrate Maryland and all things made in Maryland! Comp Guest Passes MDG has complimentary guest passes for wineries to share with VIPs and top wholesale customers. Please email us if you’d like to add names to the list.